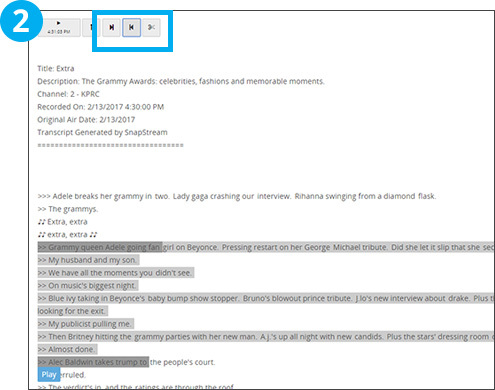 Use SnapStream's clip from transcript feature as an alternative to making clips in the Web Player. 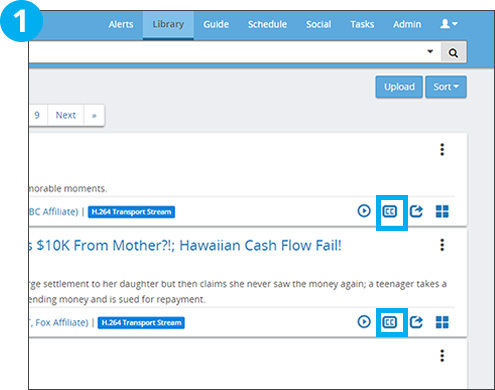 Select a text block from the transcript and SnapStream will clip out that segment. It's a quicker way to create clips, especially if you are remotely logging into the system. 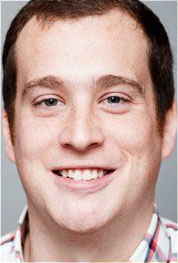 In the Library, click the transcript button marked "CC" next to a recording. Click on the transcript where you would like the clip to begin and press the Clip Start button. Click on the transcript where you would like the clip end point to be and press the Clip End button. Click the Clip button. 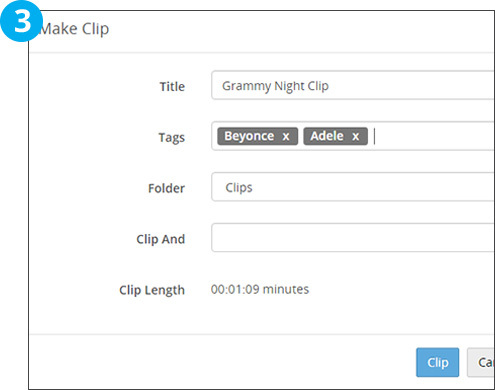 Create a title and tags for your clip. You can select a folder location for the clip from the "Folder" drop-down. Share the clip, add it to a playlist, Showsqueeze to a different file format or upload to YouTube from the "Clip And" drop-down.